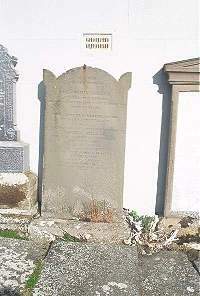 Benjamin Miller, cooper of Helmsdale, died 1st September 1856 aged 19. This tribute is erected by his father George Miller. In loving and affectionate memory of. Robert Miller died at Houstry Dunbeath 19th November 1896 aged 47. Son Robert Miller died at Rumsdale Dunbeath 20th June 1891 aged 1. Thine will be done in earth as it is in heaven.